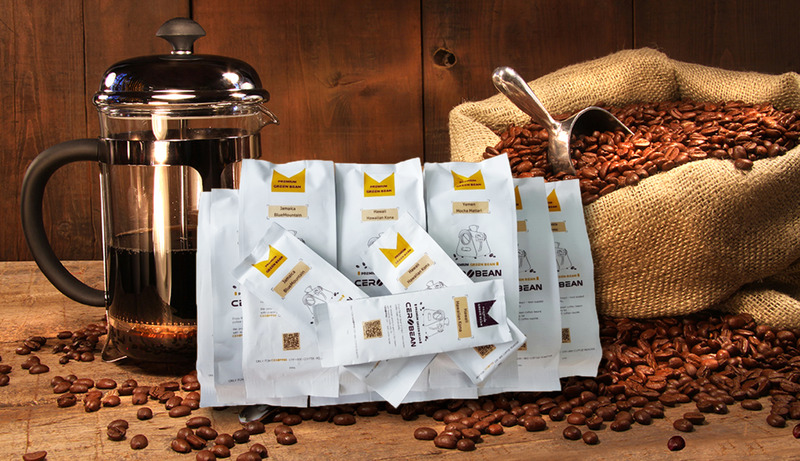 • Provides Ceroffee’s customized profiles created by green beans and roasting masters! • Provides optimal profiles for 12 different kinds of green beans (5 blendings and 7 singles including the world’s Best 3 coffees). A blending which begins with a mild taste and gets bitter and burn taste later on; the blending has flavors that are generally preferred by men. A perfect combination of freshness and excellent sour taste! Rich wood aroma appears in the end. The blending is good to drink in the morning and in the lazy afternoon. This blending tastes soft and harmonious! Chocolate scent and sweat taste hit in the middle, and that last till the end. It is a blending for anytime and anywhere. Rich and nutty aroma! A blending with moderate body, slightly bitter and sour taste create a harmony. It is all time favorite for everyone. Its savory taste comes first to capture one’s appetite, and smoky scent comes after. The blending has less bitter taste, but fruity sour taste and nutty taste harmonize to be a perfect one for Dutch. The best premium African coffee with fresh fruity scent, moderate body and pleasantly bitter taste! Premium coffee that is produced by fair trade. It is grown at a high elevation without using chemical pesticides! Nutty sweat flavor, rich aroma and citrus acid harmonize together! The popular coffee with citrus flavor and chocolaty sweetness, along with flower fragrance. Its refined flavor is often compared with wine. Preferred by women because of its smooth body and fine aroma. The perfect coffee to wake you up in the morning! It embraces strong tastes of coffees from other area, so that it is commonly used for blending. The coffee praised as the world top 3 coffees for having great taste and aroma. Premium quality achieved through hand picking and strict quality control. Produced in Kona, the most famous area for the highest quality coffee in Hawaii, only coffee growing region in USA; tangy sour and heavy body creates unique and cool flavor to invite you into the luxurious aroma world. A coffee that Van Gogh enjoyed; the coffee bean is grown in Yemen which is known for the first coffee growing area in the world! A Queen of coffee with a dark chocolaty aroma, bold flavor, and well harmonized bitter and sour flavor.